Whether you are looking to improve your business profile, or require an SSIP accreditation for a particular project, we can help you. If you have done the best you can to gain an SSIP accreditation, but are struggling, ‘Hassle Free Lite’ is what you need. If you are having trouble gaining, or regaining accreditation with CHAS, Exor, Constructionline, SMAS, SafeContractor, Altius, Acclaim, or any other SSIP scheme, we can help. You may not know where to begin, or you may have already taken valuable time out of your business and made a good attempt at pulling together the required documentation, but cannot clear the final hurdle. Our experienced, knowledgeable and friendly consultants will work alongside you to make sure your documentation passes muster and to help you to reach your end goal. How do we approach 'Hassle Free Lite'? Speak to us on the phone or send us an email and let us know which SSIP you are interested in. We will review your existing documentation, together with any feedback you have been provided from your chosen scheme, then advise on what you need to do to meet the SSIP requirements. If you fail an initial audit on the chosen scheme, we will provide email assistance/advice on the additional information required. We will assign you a dedicated and competent health and safety professional who will gain an understanding of your needs and be on hand to provide help and advice, or comment on your needs in relation to the SSIP scheme. How much does 'Hassle Free Lite' cost? ‘Hassle Free Lite’ costs £350.00, and if during discussions it becomes apparent you need a little more support and choose our full retained service we will gladly take this cost off your ‘Hassle Free’ subscription. SSIP is an umbrella body for assessment schemes which amount to a PQQ process. This PQQ process consists of a desktop audit, at the end of which, if you are successful, you gain accreditation for 12 months. Who owns the documentation produced? You do. You paid for it, so its yours. We neither copyright our forms, nor lock everything down in PDFs. We will happily provide original documents in word/excel on request. 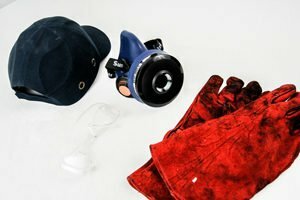 If you do not have a H&S policy, RAMS, or other H&S documentation, we recommend looking at our retained service ‘Hassle Free’, where we offer a more robust H&S product to small businesses that require additional and ongoing support in meeting the requirements relevant H&S legislation and their chosen SSIP scheme.